If Manchester By The Sea is as depressing as everyone says it is, I'm not going to make it through this Oscars season because I blubbered pretty much all the way through this movie. I'm not exaggerating. It started about 10 minutes in and didn't stop until the end. It wasn't a panicked, soul-crushing cry like last year's top tearjerker, Room, but more like the horrified, soul-numbing cry I had during parts of Philomena. Perhaps because this movie also centered around the adoption of a child who was not, in fact, willingly given up. Also, for me, because the impossibly adorable Sunny Pawar who plays five-year-old Saroo looks so much like my similarly-aged son that I felt like my heart was being ripped out every time I watched him suffer. Which was a lot. This movie is not for the faint of heart. It's a tale about suffering; about trying to find your identity when you don't know who you are. It is also a tale about survival, in the face of seemingly insurmountable odds and harrowing poverty. It is a fairly straightforward story, with minimal twists and turns, that manages to stay engaging for the entirety of a full-length movie. It's a testament to the acting, the cinematography, and most importantly, the score. I have yet to see La La Land, but I'm going to be hard pressed to change my opinion that this movie should have been honored in that department. This movie would be far less impactful without the dramatic score that highlighted the emotions of an often speechless five-year-old. The movie is not perfect, which I suppose is it to be expected considering it's based on a real story. But it is split into two distinct halves, with the first half of Saroo's journey much more compelling than him as a grown-up. 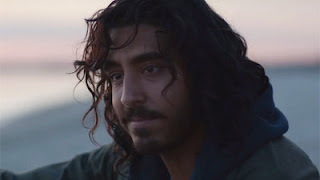 Dev Patel does a commendable job, but a large portion of his role is reduced to sad silence and anxiously running his hands through his inexplicably mangy hair. It's not just that I am in love with Sunny Pawar (except I am), but seeing the juxtaposition of this humble little boy against the backdrop of the chaotic city of Calcutta is instantly memorable. On the other side, Saroo's adult life in Australia is dotted with appearances by Nicole Kidman, who plays his mother, and Rooney Mara as his girlfriend. While Kidman is obviously important to the story, I didn't think her performance deserved a mention, let alone an award nomination. And though Mara's character, Lucy, was obviously a real person in Saroo's life, her role didn't feel entirely necessary or integral to the plot. 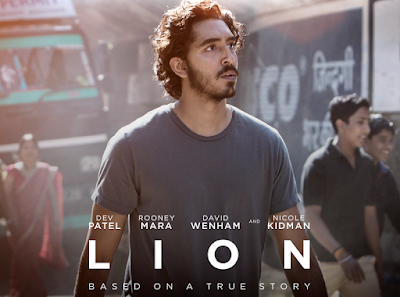 Luckily, the adult half of the movie had frequent flashbacks to Saroo's memories in India, which also served to remind the audience exactly what was at stake for him. This movie represents exactly what I love about awards season: the highlighting of movies that might not otherwise be on my radar, or movies I may not otherwise ever get the courage to watch. There's never a good time to sit down and depress yourself with a story that is both extraordinary and completely commonplace. But these are the types of stories that need to be told, because they are real. And that beats a Hollywood blockbuster any day in my book. Final word: The first thing I did after watching this movie was go hug my kids. A lot.